Over at Honeycombers, we’d like to think that you treat us as your Singapore-savvy BFFs through the screen whenever you’re breezing through our articles. 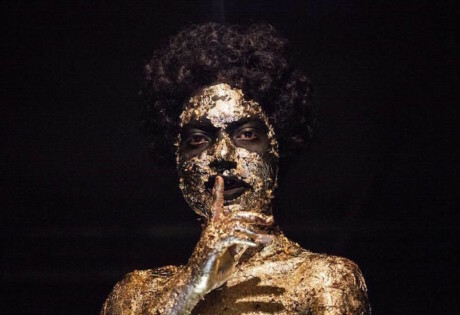 We’ve even made stories where we personally divulge some of our best-kept secrets; you’re probably well acquainted with many of us already. 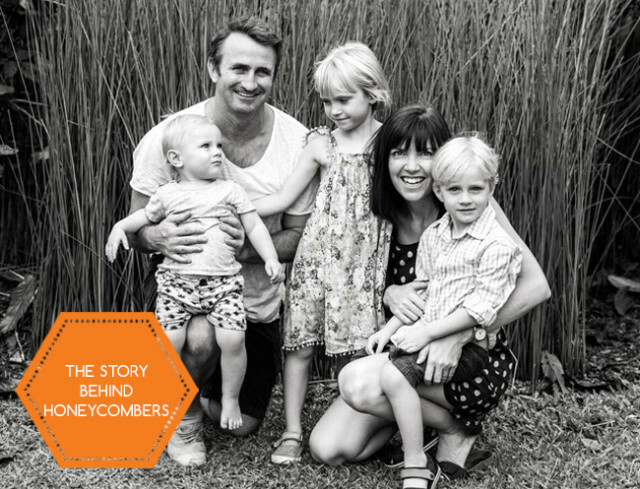 But with the arrival of International Women’s Day, we’d like to celebrate the empowerment of women by highlighting the achievements of one particular Honeycomber whom you need to get chummy with – in fact, she’s the very founder of Honeycombers, HoneyKids and HoneyBrides, Chris Edwards. And as if that wasn’t impressive enough a milestone, she even juggles it all while being a proud supermum of three. Obviously, we’re not the only ones infatuated with her accomplishments. 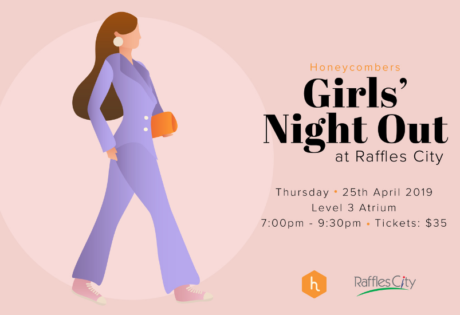 Even the folks behind Facebook agree; they recently featured our Honeyboss on their #SheMeansBusiness campaign, which celebrates women who have built and run businesses – perfect timing for International Women’s Day if you ask us! Watch the beautifully-shot video below, and you’ll even spot a few cameos from the Honeycombers team. How many times have you told a friend to follow their heart and do what they love? How many times have you wisely advised there is no time like the present? And, how many times have you qualified your wisdom with, “I should take my own advice”? Seven years ago, I had an a-ha moment and started taking my own advice. I arrived in Singapore at 28 years old, as a ‘trailing spouse’ (aka my husband got relocated here, and I had to ‘trail’). I was ready for a new adventure. Sadly, Singapore’s job market didn’t have the same level of enthusiasm for someone with my background, skills sets and pay expectations. I found myself stuck between jobs that didn’t excite me and friends back home telling me to have a baby. I needed to find a way to fulfil the intellectual and entrepreneurial void in my life. My solution – starting The Honeycombers – was actually my husband’s bright idea, which leads to the first piece of advice that I am so glad I took. Surround yourself with the great people. For me, realising my entrepreneurial dream and having a young family would have been incredibly difficult without my supportive partner. My family and friends stood by me from the start, when I was a one-woman show working without a salary from my kitchen table. And now that I’ve got an established business, I still prioritise hiring excellent, passionate staff who love what they do and reflect that in their work. It seems as obvious as your first coffee of the day, but surrounding yourself with supportive, amazing people must be intentionally prioritised. Keeping on with the obvious, I found I’m actually better at things I like. If only I had a penny for every time I told a friend to follow their passion and assured them the rest will follow. I knew my skills and I knew my interests, so I decided to connect the two. I saw an opportunity in the lack of publications in Singapore that spoke to me and gave me the inspiration to try new things. So I addressed my needs and soon found out they were shared by many other women, local and expat. Starting something I loved to do was a key to my business’ success and allowed me to tap into an underserved niche, at exactly the right time. Do something you love – sounds easy, but it can be quite hard. There’s no time like the present… Life is for living… Do what scares you. These encouraging words of wisdom have been heard around the globe. But instead of advising others, I decided to listen and I jumped right in. My dad said it best: “Just go for it!” And that I did. Being brave and jumping in I think is slightly more challenging for women, as you just have that much more to juggle (like homework, tooth fairy visits and night feeds). Today, I am extremely proud of what we as a company have achieved. There are not many people on the street of Singapore who haven’t heard of us – and many rely on our content to help them find the best new restaurant, a funky new café or a hairdresser that does wicked blowdries. I am really proud of that. The best part is that I get to work with a team of talented, fun-loving people who work hard, and love what they do – all in the name of keeping our readers inspired and in the know for Singapore, Bali and Jakarta. Follow your dreams, mums, and follow your own good advice. Chris Edwards is the founder and managing director of Honeycombers, HoneyKids and HoneyBrides, and mum to three little early risers. 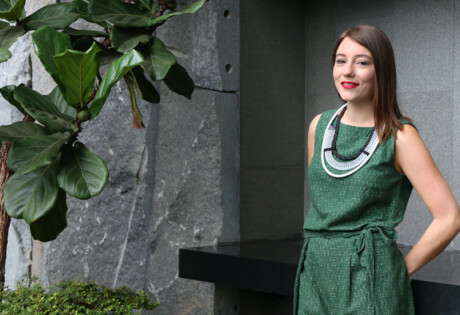 Living life wide awake: Stephanie Dickson of Green is the New Bla..